Hey NZ RATs! 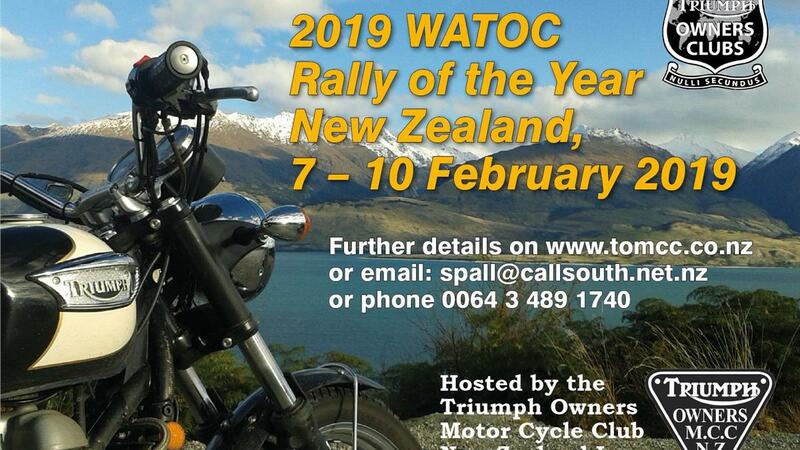 How many of you are going to the WATOC Rally in 2019? My wife and I are interested in traveling to NZ for this event. I would love to learn more about it! If you want to make a full meal of the trip there is something we locals call "The Burt Munro"
Its usually a 4 day event for motorcycle enthusiasts. This year - probable run along the same lines in 2019. I have paid for and received mine. T-shirts, polo shirts as well as meals and bedding also available. I am told that about 40 ( and counting ) overseas entries or so confirmed at the moment. Planning a South Island tour with some other local TOMCC members who are attending and wish to tour prior to the rally. If your coming and wish to join us drop me a PM and I will share our plans of highlights, must views, sensibly priced motel accommodation at selected locations, route and travel times etc. Thoughts are to tour prior to attending the rally. Nothing set yet as we are still discussing and planning the trip. Hi Mo. Looking to do the rally, and if you have any local info that you would like to share then that would be really appreciated. World Association of Triumph Owners Clubs - WATOC Rally of the Year. 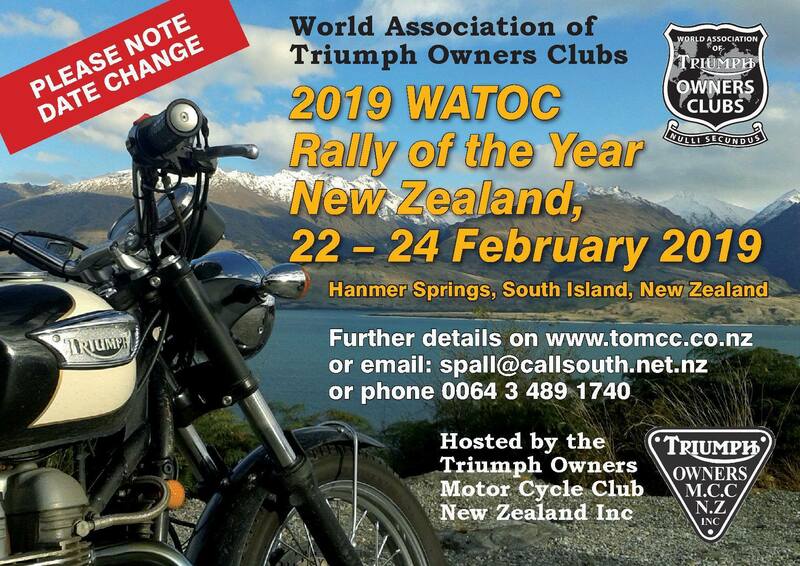 The Canterbury Chapter of TOMCC NZ will be hosting the World Association of Triumph Owners Clubs (WATOC) Rally of the Year for 2019 combined with the 25th TOMCC NZ National Triumph Rally. The venue has been booked in the picturesque alpine village of Hanmer Springs, North Canterbury which is renowned for its natural hot pools and stunning landscapes. Hanmer Springs is located 90 minutes drive from Christchurch and is at the gateway to some of the best riding roads in the South Island. Below is the link to the 2019 WATOC Rally of the Year, for online ticket sales which has Gone Live. Please note there has been a date change for the rally.